The man was apprehended in De Beers Lane by provincial detectives while he was transporting abalone. 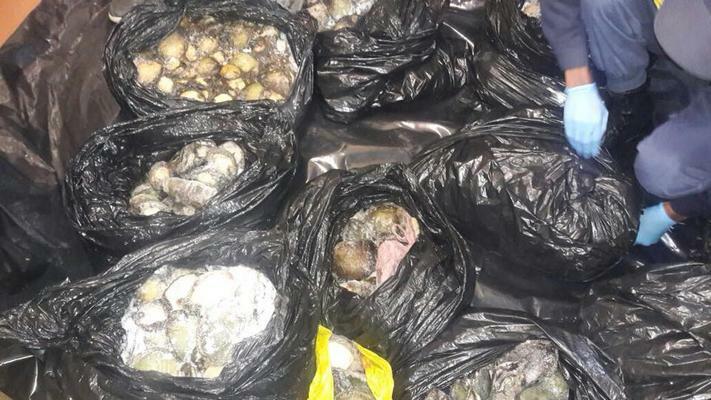 A 45-year-old man has been arrested after he was found in possession of a large amount of abalone in Somerset West, Cape Town, Western Cape police said on Sunday. “Our continued investigations into the lucrative illegal abalone trade in the Western Cape resulted in the arrest of a 45-year-old man last night [Saturday] in Somerset West,” Lt-Col Andrè Traut said. The man was apprehended in De Beers Lane by provincial detectives while he was transporting abalone with an estimated street value of R300,000. Once charged, he was expected to appear in the Somerset West Magistrate’s Court to face the charges against him, Traut said.